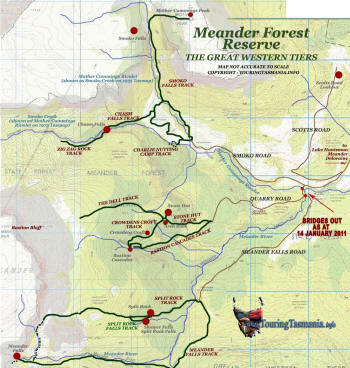 Meander Forest Reserve is a little over an hours drive from either Launceston or Devonport. Deloraine is half way between Launceston and Devonport. 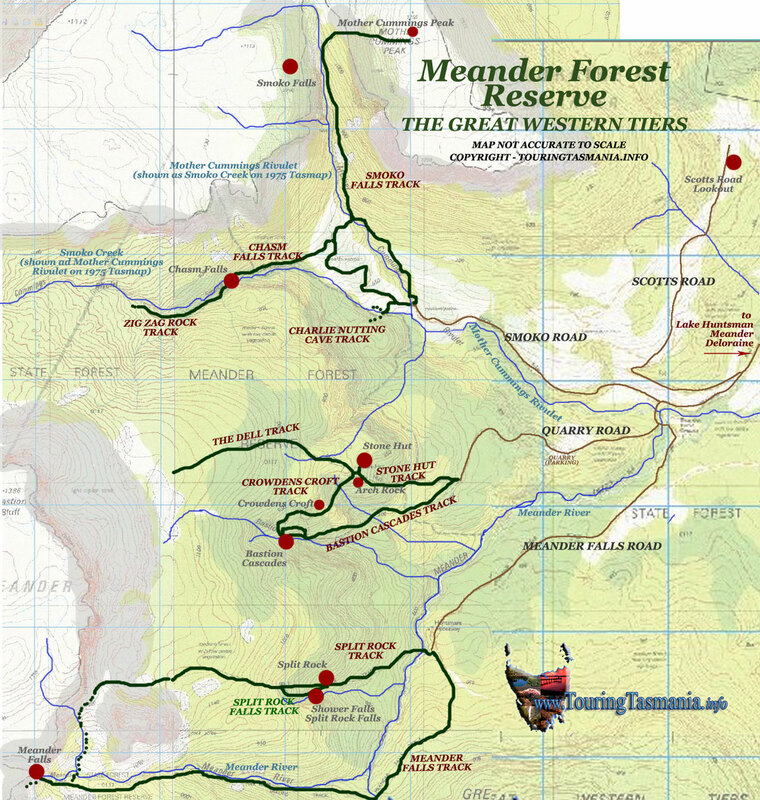 Meander is 15 kilometres south of Deloraine with the reserve a further 10 kilometres further on. The road passes the Meander Dam site - Lake Huntsman. The new lake is a very scenic addition to the area. A new picnic area has been constructed overlooking the lake next to the Meander Falls Road. Deloraine is a very busy country town servicing a wide country community. There are ample restaurants and cafes as well as a post office and 3 hotels. Meander is a very small town with a good general store with basic but very good quality snacks (last visited September 2015). There are numerous walks in the reserve all with their own unique attraction. 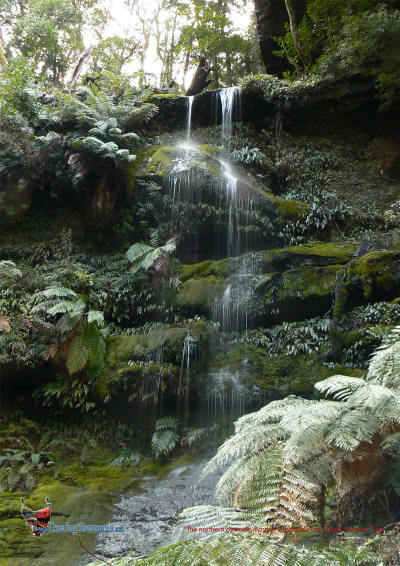 The best known walk is Meander Falls - a 6 hour return walk with an optional loop walk through Split Rock - an additional 2 or 3 hours. However, some of the other shorter walks are as impressive and well worth the visit. But be aware, the walks are all relentlessly uphill and require a good level of fitness. From the left below - Meander Falls, Bastion Cascades, Chasm Falls track, Smoko Falls - Mother Cummings Peak track.